All too often we hear that someone we know is facing cancer. A friend, relative, or neighbor—or a colleague, church member, customer, patient, or client—receives the devastating news of a cancer diagnosis. During such a difficult time, we want to reach out with support and care, to offer help and hope. But how? A simple, powerful way is to give a copy of Cancer—Now What? 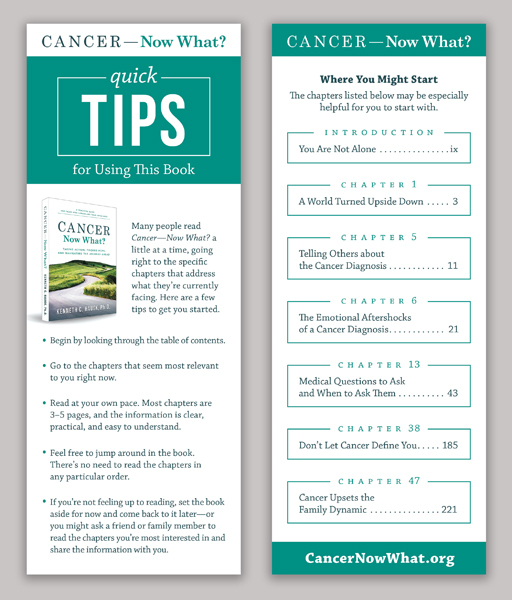 This book from Stephen Ministries is a comprehensive how-to guide that helps cancer patients and their loved ones navigate the medical, emotional, relational, and spiritual challenges of cancer. 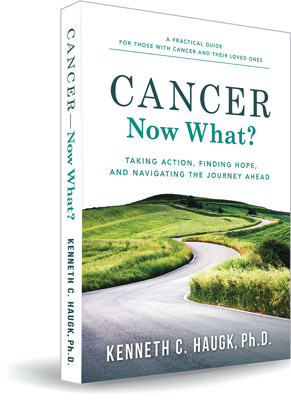 Each copy of Cancer—Now What? includes a Quick Tips card, which offers suggestions for how readers might use the book.